"SeDaSC: Secure Data Sharing in Clouds"
"Exploiting Trust: Stealthy Attacks Through Socioware and Insider Threats"
"Active Authentication on Mobile Devices via Stylometry, Application Usage, Web Browsing, and GPS Location"
"Modeling and Verification of Insider Threats Using Logical Analysis"
"Improving the Energy Efficiency of Broadband Copper Access Networks: Review and Performance Analysis"
"Priority Scheduling for Heterogeneous Workloads: Tradeoff Between Evictions and Response Time"
"Energy Minimization With Network Coding via Latin Hypercubes"
Engineers today start their careers with excellent technical skills and subject matter. The Systems Council Newsletter includes time sensitive news useful to its members and highlights content of the current issue of the IEEE Systems Journal. Our next important event will be the IEEE Symposium on Systems Engineering (ISSE 2017) which will be held in Vienna this coming October. We received more submissions than in the past and we are working on the program that includes interesting papers and tutorials. The Systems Council has a new website: http://www.ieeesystemscouncil.org. The content in the previous website was fully reorganized to improve the amount of valuable information and its readability. Council news and information is published in this newsletter. Have a fruitful reading and see you in Vienna! Have you seen the NEW look of the IEEE Systems Council website? Check it out at http://ieeesystemscouncil.org/. The 3rd Annual IEEE International Symposium on Systems Engineering will be held 11-13 October 2017 in Vienna, Austria. This symposium seeks to create an interactive forum for the advancement of the practice of systems engineering across the multiple disciplines and specialty areas associated with the engineering of complex systems. Applications-oriented topics on large-scale systems and systems-of-systems. Systems engineering, educations standards, processes and methodologies for the systems-of-systems environment. The 12th annual IEEE International Systems Conference will be held 23-26 April 2018 in Vancouver, Canada. For more information, view the conference website. The provisional program is now available. The new bibliometric indices for 2016 have been published. 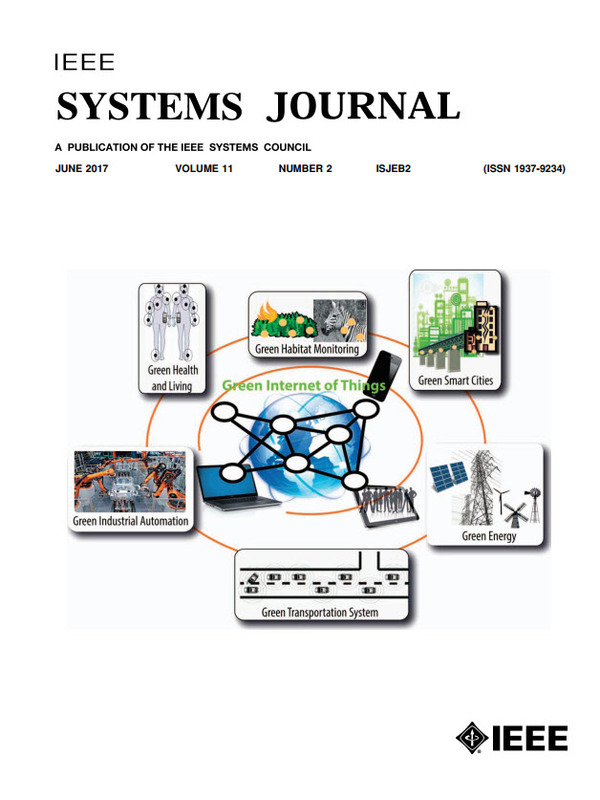 The IEEE Systems Journal is continuously growing in quality and appreciation, thanks to the care and dedication of Vincenzo Piuri (Editor-in-Chief), Amir Aghdam and Saeid Nahavandi (Deputy Editors-in-Chief), all Associate Editors, and all reviewers. The values displayed for the Journal Citation Metrics fields are the ones reported by IEEE Xplore and are based on the Thomson Reuters Journal Citation Report (JCR). IEEE has issued a recommendation about the appropriate use of bibliometric indices. The Human System Integration Technical Committee is looking for members! Visit our website for more information. The Systems Council AdCom will hold their fall meeting in conjunction with 2017 IEEE International Symposium on Systems Engineering (ISSE) in Vienna, Austria on 13 October 2017.